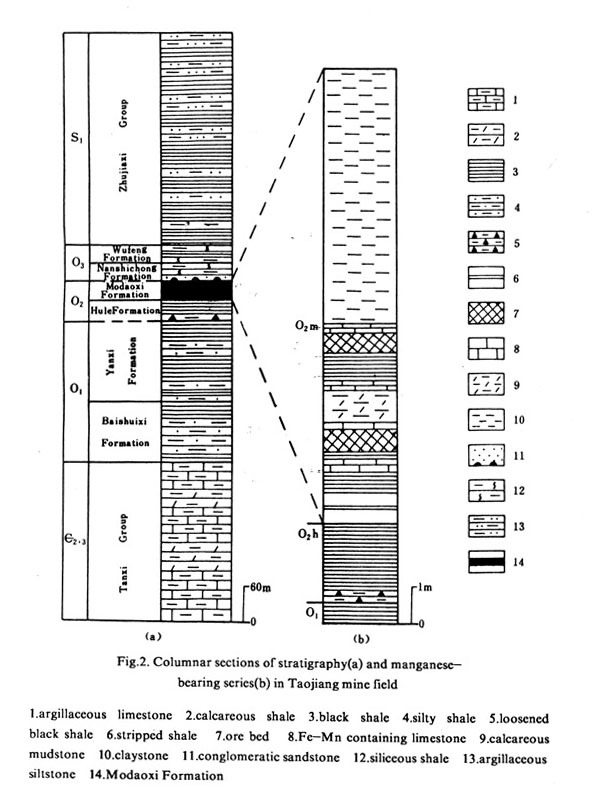 Zhu, S-Q., 1996, Characteristics of Taojiang-type hydrothermal sedimentary manganese deposits: Geological Review (in Chinese) v. 42, p. 397-404. Peng, B., Piestrzynski, A., Pieczonka, J., Xiao, M., Wang, Y., Xie, S., ... & Song, Z. (2007). Mineralogical and geochemical constraints on environmental impacts from waste rock at Taojiang Mn-ore deposit, central Hunan, China.Environmental geology, 52(7), 1277-1296.